In October, we continued our work improving Los Angeles for all by increasing multi-modal transportation options, helping solve food inequality and updating the City’s brush clearance law to help prevent hillside fires. The Downtown Women’s Center, an organization focused exclusively on serving women experiencing homelessness and formerly homeless women, held their annual Dinner With A Cause fundraiser. While homelessness saw a slight decrease in the City, we saw an increase of women on the streets in Skid Row. This is why the Downtown Women’s Center work is so important and why I have been working with the Mayor to open up temporary, emergency shelters in Skid Row and throughout the City. Last month, we opened the very first City-sponsored emergency shelter near Olvera Street in Council District 14 with 45 residents. As a City Council, we’re committed to opening temporary housing throughout the City to meet people where they are. We’ve heard great success stories from the El Pueblo shelter that are encouraging to all. Another issue that we must tackle in the City is food waste. 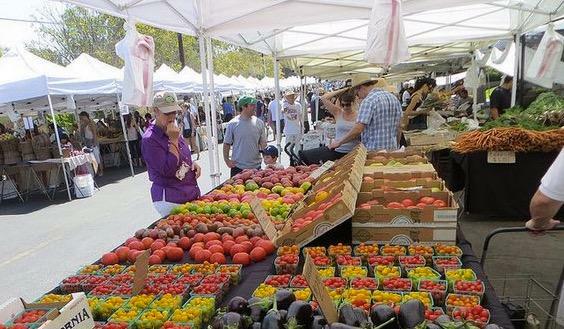 Every day food goes to waste while countless Angelenos go hungry. It is estimated that the City sends over one million tons of organic waste to the landfill annually, while over 1.5 million residents are food insecure. I worked with Councilmember Paul Krekorian on a Surplus Food ordinance motion, expanding on a policy I led in 2010. The new ordinance will create a requirement for the donation of surplus food from city events and facilities to shelters and food banks, a step forward to ending hunger in our City. We also focused on transportation upgrades in CD14. I advocated for new DASH stops in the ever-growing Arts District, and Boyle Heights will soon have a new DASH route, increasing service and accessibility to thousands. Main and Spring Streets are part of the heart of public life and vibrancy in Downtown Los Angeles, connecting multiple neighborhoods. Earlier this month, we joined residents, bike and pedestrian advocates and LADOT to celebrate Phase I of Main and Spring Forward. Spring Street is now home to protected bike lanes, bike traffic signals, wider sidewalks and dedicated lanes for buses and cars – improving the safety, comfort and quality of the public realm. Across CD14, Team Huizar participated in the annual Walk To School Day, a movement advocating safe routes to school. 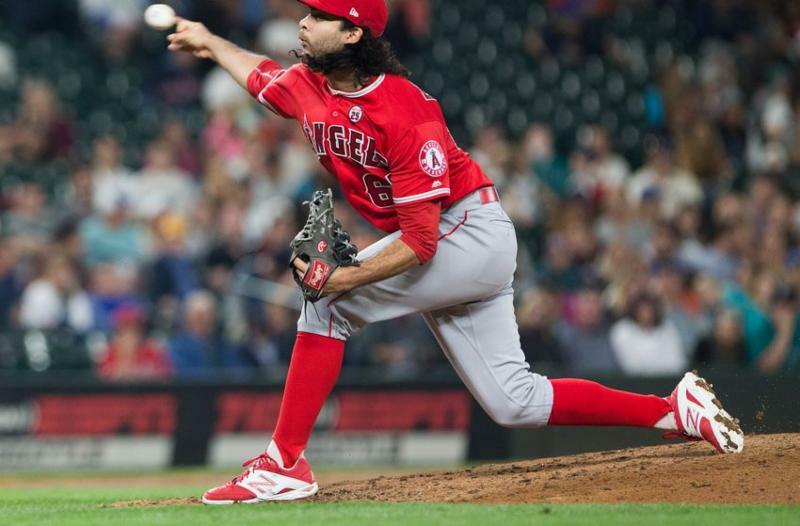 Finally, we honored and celebrated Los Angeles Angels pitcher, and Ramona Gardens native, Noe Ramirez for his accomplishments. Noe is a Major League Baseball record holder and continues to give back to the community through baseball clinics and camps. Please read below for more details on some of the things we’re working on. As always, please contact my office with any questions, comments or concerns. And please follow me on social media on Twitter , Facebook , or Instagram ! Election Day Tuesday, Nov. 6th! Residents have moved into the City’s first ” A Bridge Home” temporary shelter at El Pueblo in DTLA. The shelter will help people experiencing homelessness reclaim their lives, get the help they need and enter into supportive housing. 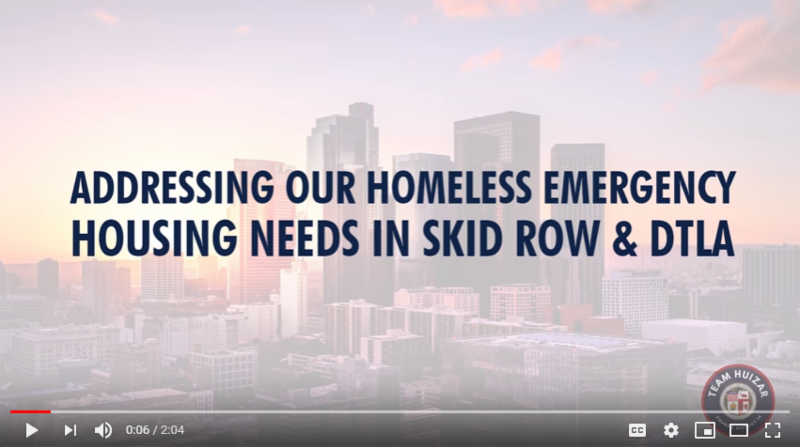 Check out this video to watch Councilmember Huizar’s plan to address the emergency housing need in Skid Row and Downtown LA. Read stories of hope from the El Pueblo Shelter here. 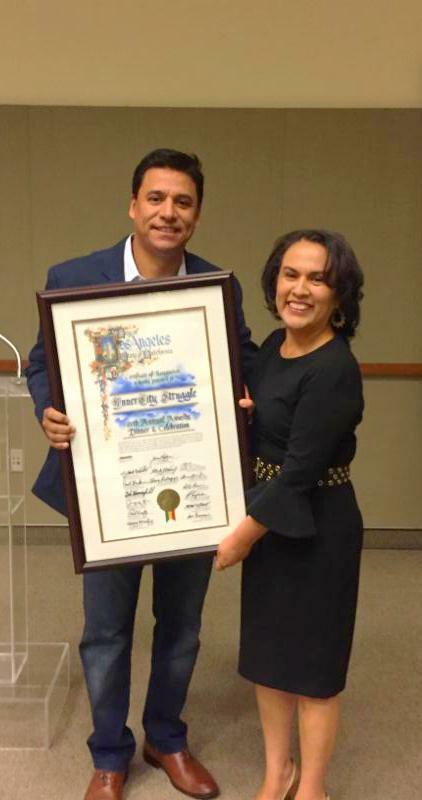 Councilmember Huizar and his wife, Richelle, were recognized together by the Downtown Women’s Center for their efforts to address homelessness. As the City of Los Angeles grapples with the homeless crisis, Councilmember Huizar has emerged as one of LA’s most proactive elected officials in pursuing creative solutions to address homelessness. He is engaged and assertively addressing each piece of the homeless puzzle from crisis, bridge, supportive and affordable housing needs, the mental health crisis, and fighting for funding to build the required levels of City services to actively combat homelessness. 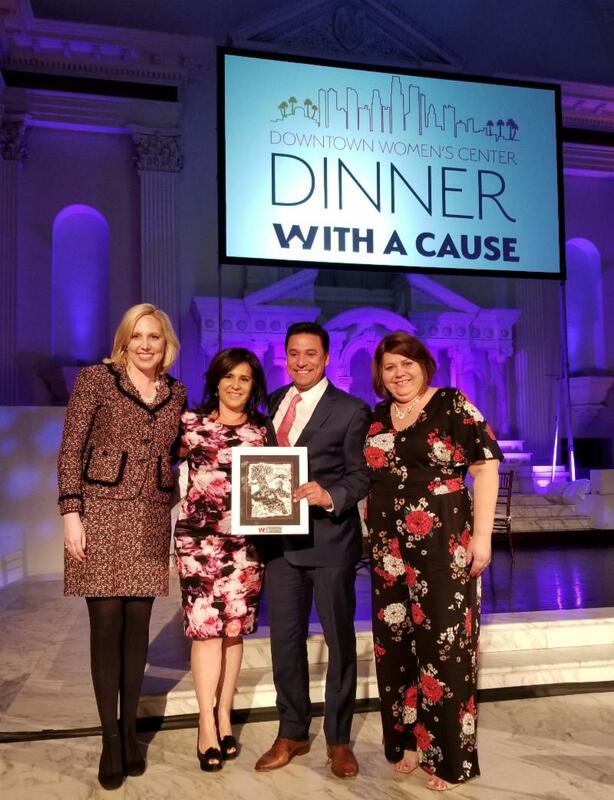 Councilmember Huizar was honored to be recognized by the Downtown Women’s Center, the only organization in Los Angeles focused exclusively on serving and empowering women experiencing homelessness and formerly homeless women. As part of the 8th Annual Food Day LA, the City Council voted to do more to fight food insecurity by reviving a policy first proposed by Councilmember José Huizar in 2010 to donate surplus food from city events and facilities to shelters and food banks. The revised Surplus Food motion sponsored by Huizar and Councilmember Paul Krekorian was adopted unanimously and calls for a full Surplus Food ordinance. Learn more about the food policy here. In another effort to create a more multi-modal Los Angeles, Councilmember Huizar advocated for new DASH stops in the Arts District, a new DASH bus route in Boyle Heights, and extended service hours for all routes, including El Sereno and Northeast LA. The City’s DASH service provides essential first/last mile access and local mobility, particularly for low-income residents, youth, and older adults. Find the new routes and additional stops here. 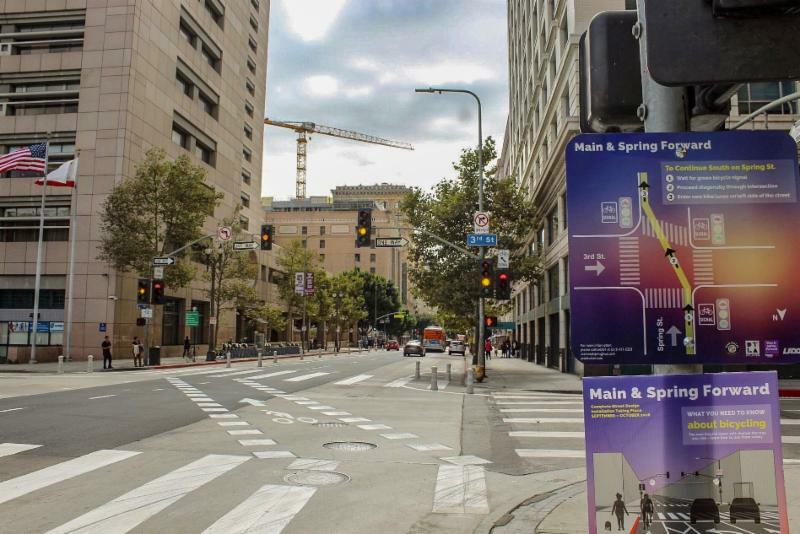 Councilmember Huizar worked with City departments and bike and pedestrian advocates to bring complete streets improvements to ease congestion and improve safety on Spring Street, a major DTLA thoroughfare. The Spring Street upgrade, which completely reconfigured the street to create protected bike lanes curbside on the eastside of the street, with parking now in the street next to traffic flow, is Phase I of Councilmember Huizar and LADOT’s $2.3 million Main and Spring Forward project. 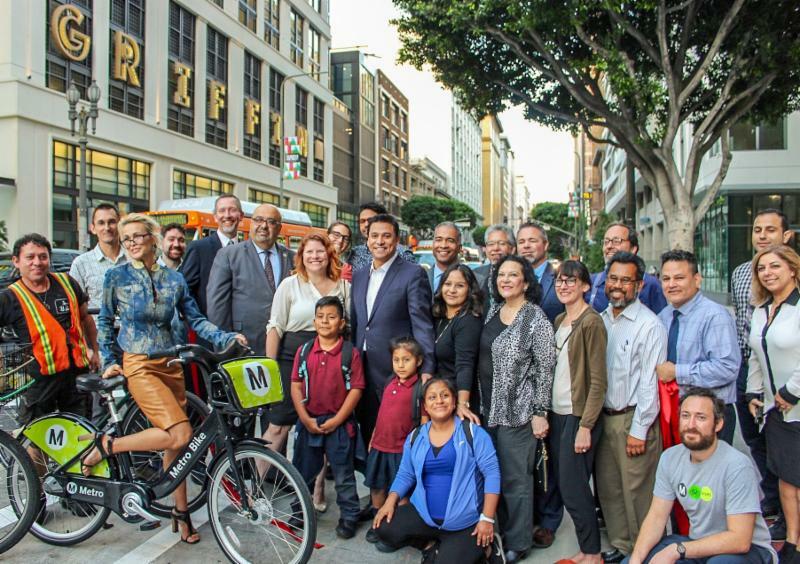 Councilmember Huizar is one of the City’s biggest complete streets supporters and is working with our city and local partners to transform DTLA’s transportation infrastructure and public realm through his DTLA Forward initiative. Learn more about the new upgrades here. 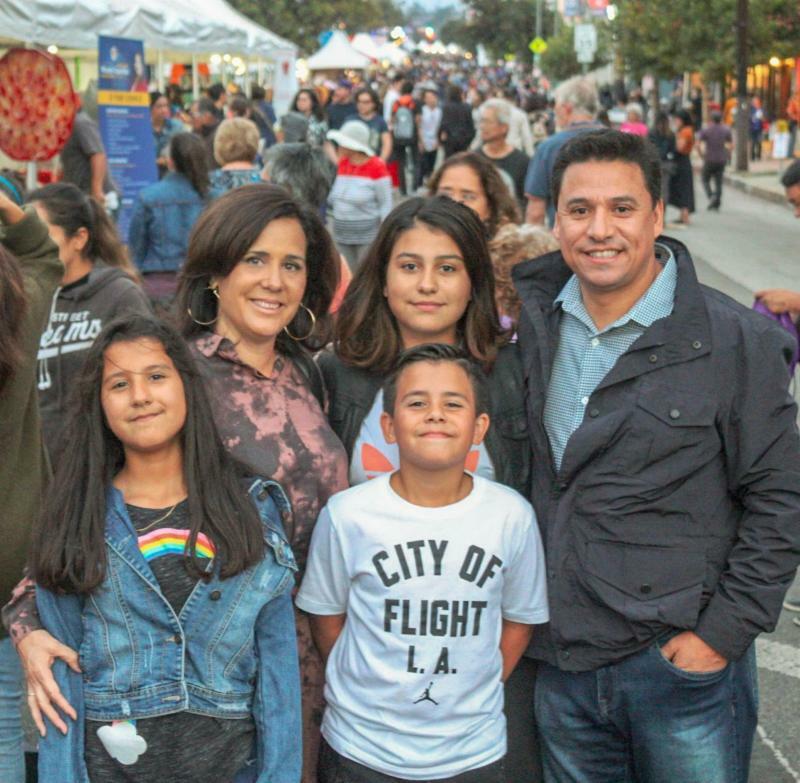 Thanks to all for coming out to the 19th Annual Eagle Rock Music Festival, a great community event that brings a diverse mix of music to Eagle Rock and Northeast LA while benefiting the Center for the Arts, Eagle Rock. The event was a great success thanks to our many community partners, volunteers, local bands and small businesses. Record-setting temperatures, red flag days, and dry conditions have fueled massive fires in Los Angeles. They are spreading faster and burning more than years past. 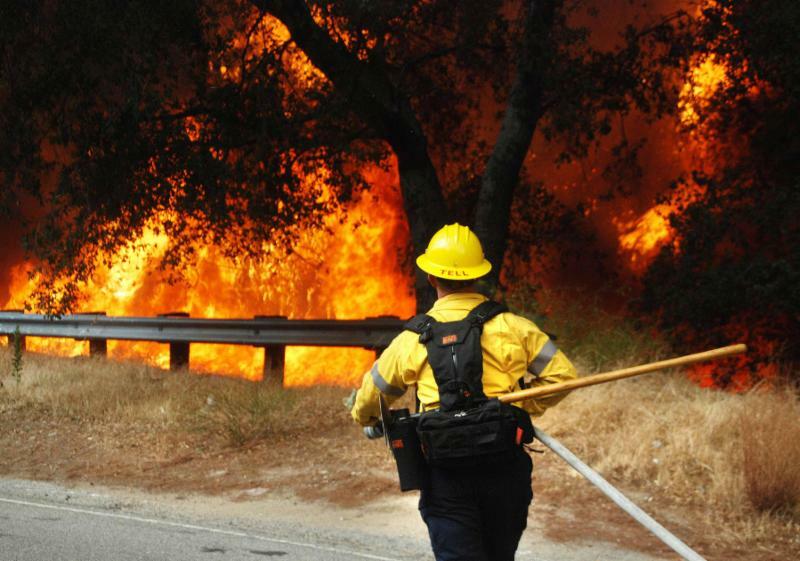 After a number of fires broke out in the hillsides over the last year, the City Council approved an ordinance to increase requirements for brush clearance and fire safety in Very High Fire Hazard Severity Zones (VHFHSZ). The Ordinance bans metal cutting blades on equipment such as weed wackers and has a number of requirements for brush clearance in VHFHSZ. Anyone observed violating the new rules could face hefty fines. To report hazards or violations, please contact the Los Angeles Fire Department. 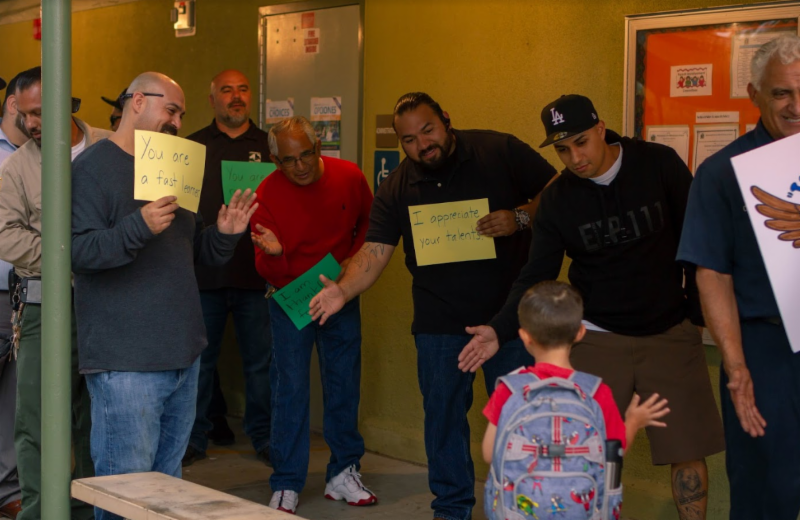 Fathers throughout El Sereno showed incredible support for their kids and the importance of their education by participating in the Million Dads March, including at Multnomah Elementary School. Councilmember Huizar was proud to support El Sereno fathers making a difference! Special thanks to LAFD and Wilson High School’s Cheer and Band for participating and providing our children with a positive experience they will never forget. Way to go Dads! 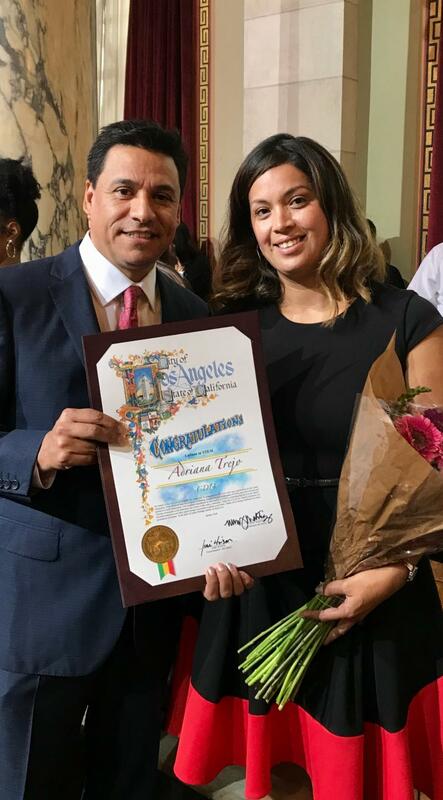 Councilmember Huizar and the City Council honored Los Angeles Angels pitcher and Ramona Gardens native Noe Ramirez. Noe is a Major League Baseball record-holder and continues to remain active in the Boyle Heights community by supporting youth programs and running baseball clinics at the Ramona Gardens Boys and Girls Club. 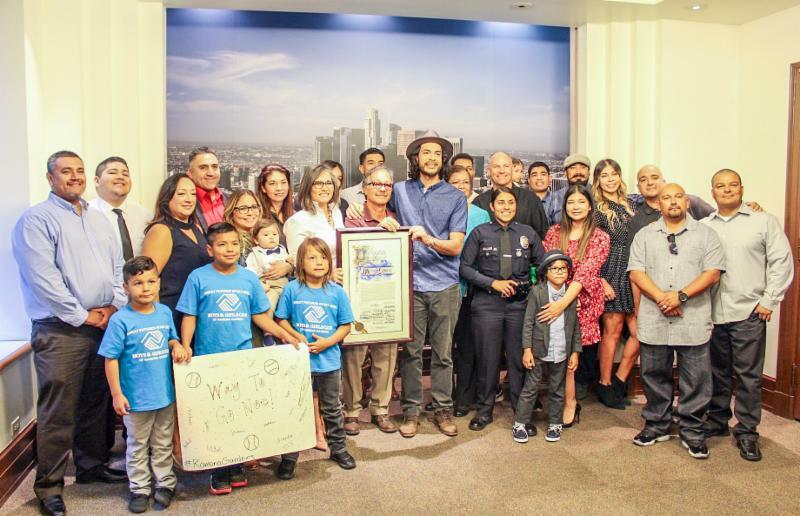 Team Huizar and the entire city of Los Angeles thank Noe Ramirez for his service to the community and wish him continued success in his MLB career! 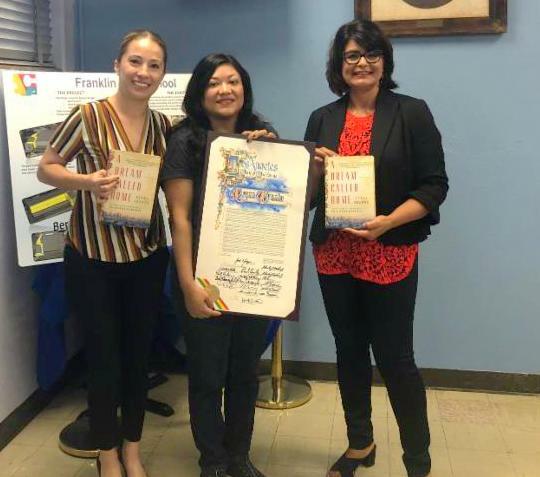 Team Huizar helped welcome alumna and bestselling author Reyna Grande back to Franklin High School in Highland Park! Ms.Grande visited her alma mater to participate in a discussion around her new book, A Dream Called Home, the sequel to her memoir, The Distance Between Us, which is about her life before and after emigrating as a child from Mexico to the United States as an undocumented immigrant. Her other works include the novels, Across a Hundred Mountains, and Dancing with Butterflies, which were published to critical acclaim. Reyna’s skill and renown as a highly recognized novelist and her triumph over tremendous challenges in her personal life, are an inspiration to all, and especially the students of Franklin High School. Check out Reyna Grande’s website here for more on her latest work. 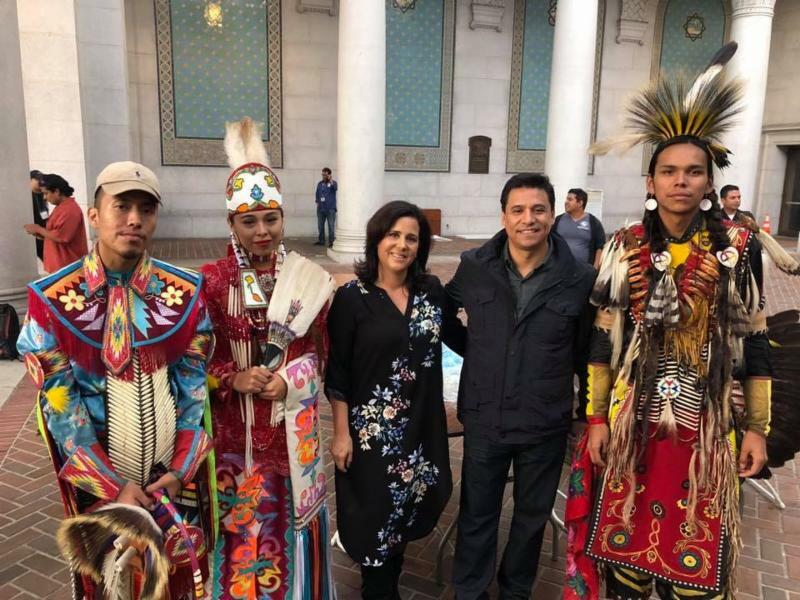 Councilmember Huizar and his wife, Richelle, attend the City of Los Angeles’ inaugural Indigenous People’s Day sponsored by Councilmember Mitch O’Farrell. It was a beautiful, profound and well-attended event celebrating the storied history and achievements of Indigenous People and Native Americans. 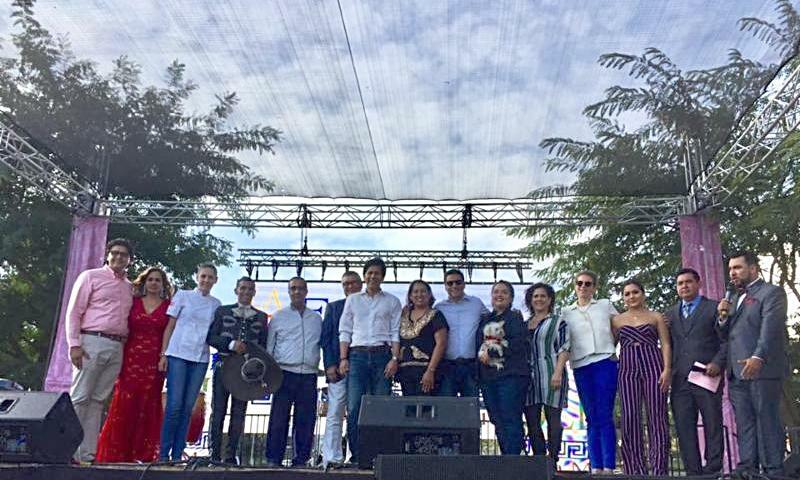 Great food and culture was the order of the day at the 11th Annual Feria de Los Moles at Grand Park in Downtown Los Angeles. Councilmember Huizar has proudly supported this wonderful festival from its humble beginnings 11 years ago at El Pueblo. 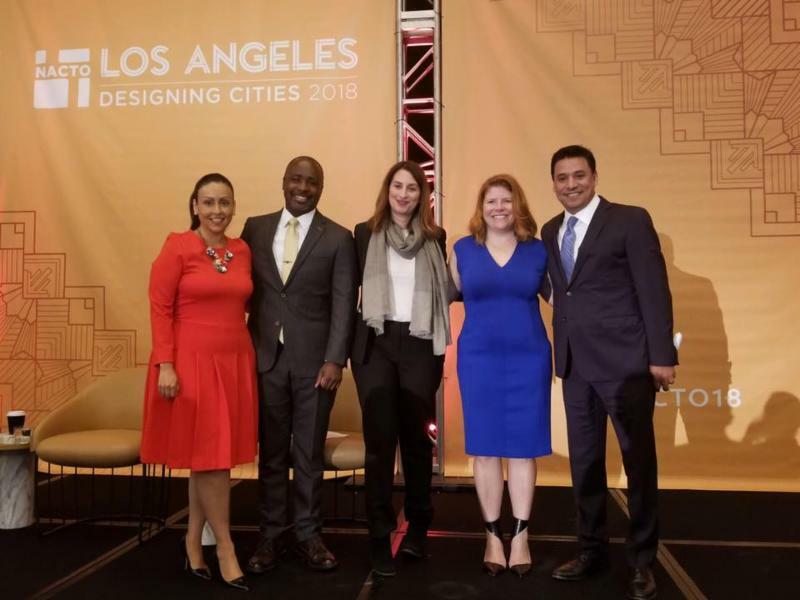 Today, it has grown into one the largest Mexican food festivals in the U.S.
Councilmember Huizar joined Councilmembers Martinez and Harris-Dawson for a panel discussion on the future of transportation in Los Angeles at the National Association of City Transportation Officials (NACTO) Conference in DTLA. The three councilmembers are pictured with the City’s Department of Transportation General Manager Seleta Reynolds, and DOT’s Jennifer Cohen. 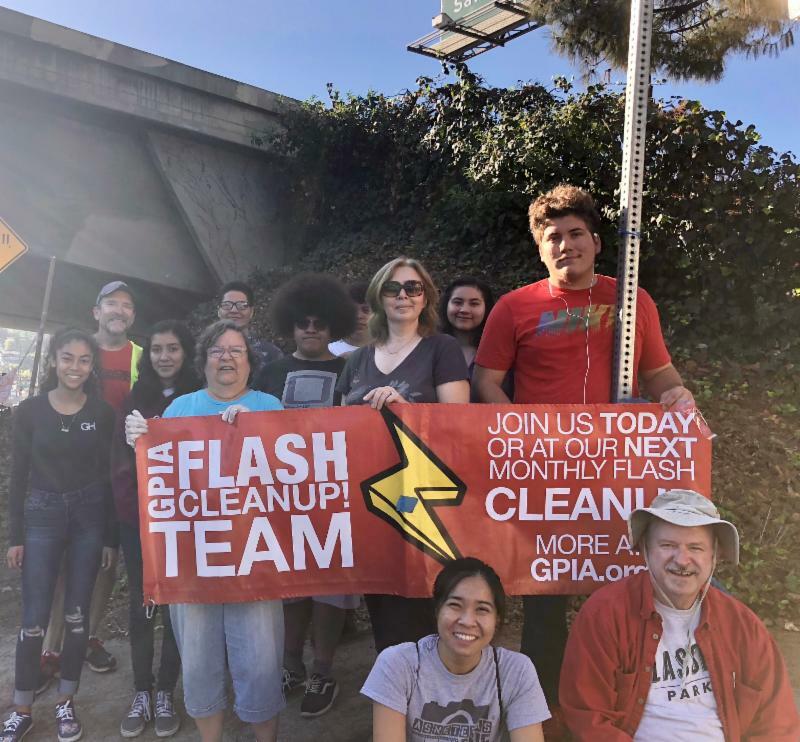 Thank you to the Glassell Park Improvement Association (GPIA) Flash Cleanup team for their help keeping our community clean! The team did a fantastic job in cleaning up the area around Verdugo Road and Eagle Rock Blvd. Community pride was in full display! Congratulations to Adriana Trejo, Council District 14’s City of Los Angeles “Latinas in STEM” honoree! Adriana is one of the co-founders of the STEM Academy of Boyle Heights and now serves as the principal. The school is home to Los STEMateros, a robotics team that has quickly climbed the ranks, competing with schools across the region and WINNERS of the 2018 Los Angeles Regional Robotics Competition, which allowed them to advance to the world championship! 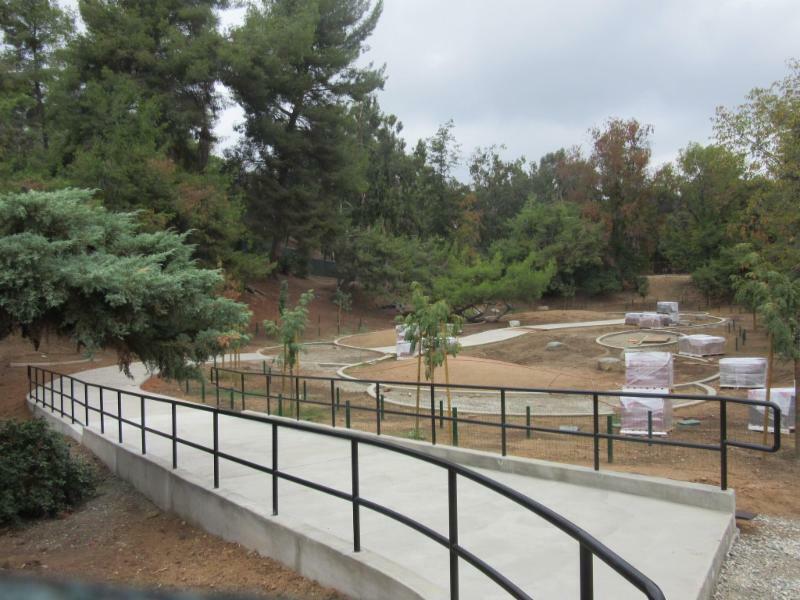 Here’s a sneak peek at the upcoming Eagle Rock Dog Park along North Figueroa Street. Councilmember Huizar was proud to work with the community, Dogs of the Rock and the City’s Department of Recreation and Parks to bring the first dog park to Northeast LA in more than a decade to Eagle Rock Park. The Eagle Rock Dog Park is scheduled to open in early 2019, and we anticipate a large number of happy, community pups WILL be in attendance! 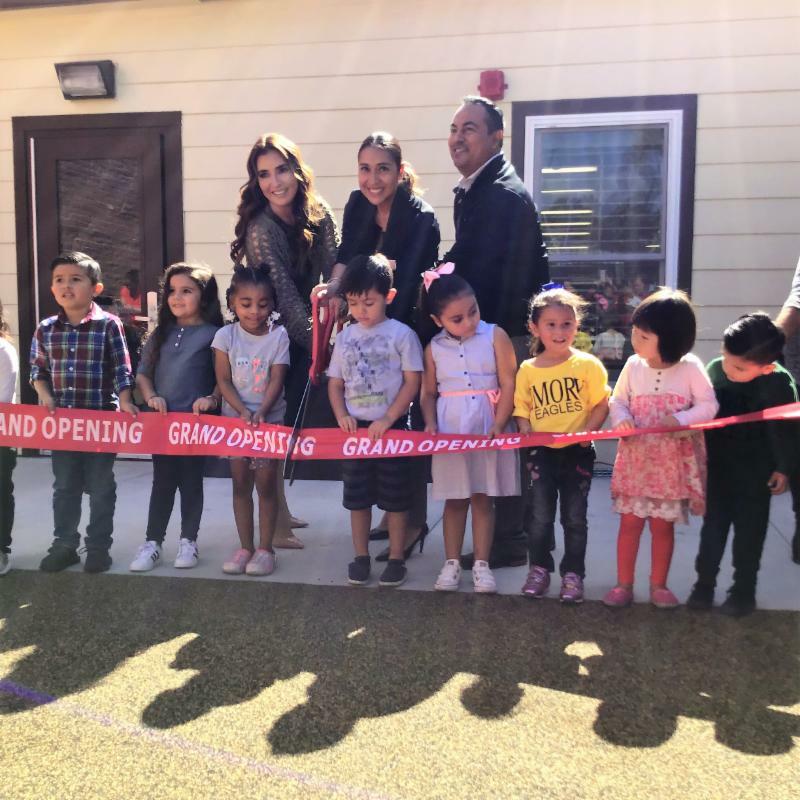 Councilmember Huizar’s El Sereno Office celebrated the re-opening of Plaza de La Raza Head Start school program on Huntington Drive. The program is housed in a new facility, replacing the previous 40 year old building, and has a fully enrolled class of 40 students. Congratulations to Plaza de La Raza on this accomplishment, and may they have a successful school year! 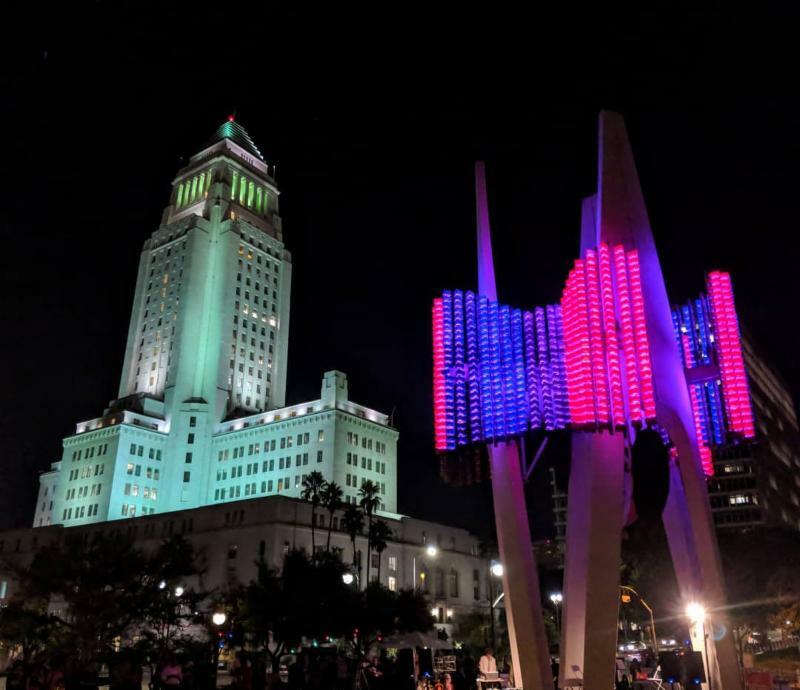 Councilmember Huizar is a proud sponsor Triforium Fridays, a three-part series of polyphonic parties at Temple and Main in DTLA. Crowds witnessed the Triforium operate in its colorful fashion for the first time in years. Councilmember Huizar congratulates Innercity Struggle on their 15th Annual Awards Dinner and celebration. 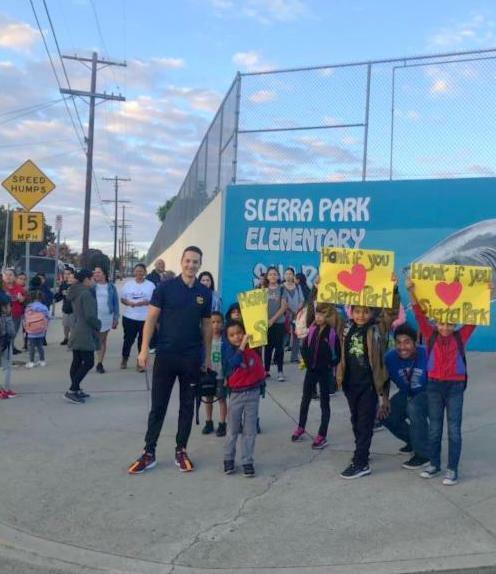 Councilmember Huizar’s El Sereno Office was proud to support Sierra Park Elementary School’s Walk To School Day. Through Councilmember Huizar’s complete streets work in El Sereno, like building the Valley Blvd. Bridge, improving Alhambra Avenue, the Soto Street corridor, and soon, Eastern Avenue, we’re adding improvements throughout the community to ensure that kids and adults can walk and bike safely. 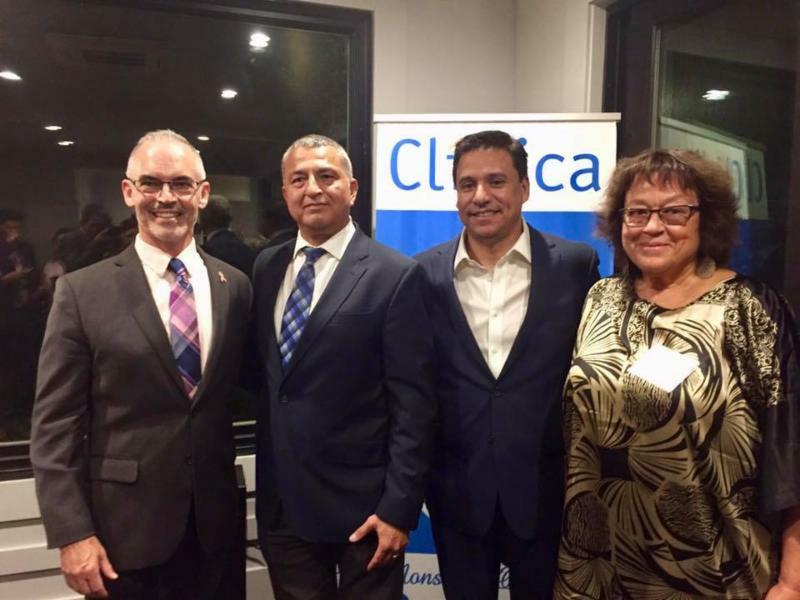 Councilmember Huizar was happy to help a great organization, Clínica Oscar Romero, raise funds to expand their building so they can provide quality health care, mental health and homeless services to more of our City’s most vulnerable populations. The expansion will allow Clinica Romero to serve an additional 1,200 patients each year.